Watch the highlights of the Filipino Nigerian 15 years old basketball player. His father is from Nigeria and a mother from the Philippines. Aj Edu already has the Philippine passport but the Samahang Basketball ng Pilipinas still not showing a sign of interest. 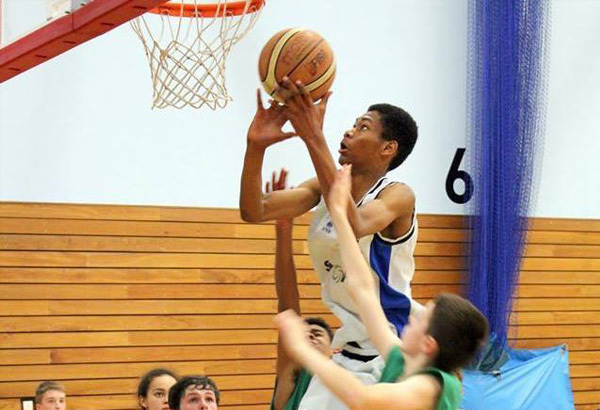 Aj Edu currently playing for the Bristol Flyers a British Basketball Team and Swansea Storm in Wales League. He's been nominated ones as the MVP for Mens D1. This kids has a bright future in this sport. Also the Kid got an invitation from England but he still hoping that the Philippines will contact him. Aj Edu really loves to play in the Philippine Team. The 6'9 15 years old Edu can surely give a great impact for the Batang Gilas if only the SBP calls the opportunity.